Online registration for our 2018 3×3 program is now open! Space is limited so register early! The 8 week program involves weekly 1.5 hour sessions of basketball development drills and 3 on 3 games. Each participant will receive a reversible Spartans basketball jersey. All sessions will take place at Chippewa Secondary School (539 Chippewa St. W, North Bay, ON). Cost is $125 per player, $100 for any additional players from the same family. Boys and girls born in 2009 and 20010: Sundays 10:00 am to 11:30 am starting September 9 to October 28, 2018 (no session Thanksgiving Sunday). Boys and girls born in 2007 and 2008 : Sundays 11:30 am to 1 pm starting September 9 to October 28 2018 (no session Thanksgiving Sunday). Boys and girls born in 2005-2006: Wednesdays 8 pm to 9:30 pm starting September 5 to October 17, 2018. There will be a special Friday night tournament for all ages on Friday October 19, 2018. Start times to be announced. 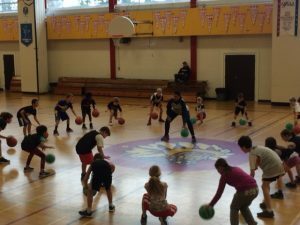 The Spartans 3×3 program is for boys and girls interested in improving his or her basketball skills and competing in a fun and fair environment. We hope that many participants will be interested in trying out for our rep teams in early November. We will post any updates about the 3×3 program, as it becomes available, on this site, as well as our Facebook and Twitter pages. Contact spartansbasketballnorthbay@gmail.com with any questions regarding our programs.